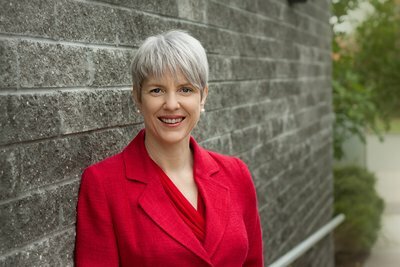 Dr Myvanwy McIlveen is unique in being the only female college certified infertility specialist outside the Sydney metropolitan area in NSW. She loves helping couples work towards achieving their family in ways that they feel comfortable with. She offers honest, realistic advice on the choices available to you and helps you to decide what path you take to parenthood. She sees patients both in Newcastle and Gosford in her dedicated fertility practice. Myvanwy is Newcastle born and bred, growing up at Lake Macquarie before doing her degree at Newcastle University (Honours) and her Obstetrics and Gynaecology training at the John Hunter Hospital. She then spent four years training in Sydney and at the University of Sheffield in England in infertility and IVF, completing both her subspecialist qualifications (CREI) and Master of Human Reproduction & Genetics. In 2005, she returned to her hometown of Newcastle as a specialist working with Genea. An active member of the Fertility Society of Australia, Myvanwy is also an examiner for the Australian College of Obstetricians and Gynaecologists. Her Masters research topic was in AMH (egg number) testing & embryo transfer technique. Her areas of interest include PCOS, pre-implantation genetic diagnosis, ovulation disorders (irregular periods), difficult IVF cases (recurrent IVF failures), ovarian failure and insufficiency, male factor infertility and unexplained infertility. Myvanwy has a private fertility practice in Newcastle where she consults at The Junction and on the Central Coast at Gosford. She is a Visiting Medical Officer at Lingard Hospital. She welcomes patients from Newcastle, the Hunter, Lake Macquarie, Gosford, Central Coast & Northern NSW. For remote country patients she is happy to offer Skype consultations. All couples are different and require unique, individualized care and Myvanwy understands that you want a personalised approach to your problem. That is why she provides assistance ranging from simple advice and information on the best ways to naturally affect your chances of natural pregnancy to the most modern and scientifically advanced therapies. She will consider your unique medical history and provide advice specifically suited to your circumstances. Myvanwy understands the process of investigation and treatment can be stressful and that sometimes you just need some reassurance - emailing and phoning her is encouraged. Married to her childhood sweetheart Stuart, Myvanwy has a young son and enjoys reading, bushwalking, sailing, mountain biking, skiing and going to the gym in her spare time.